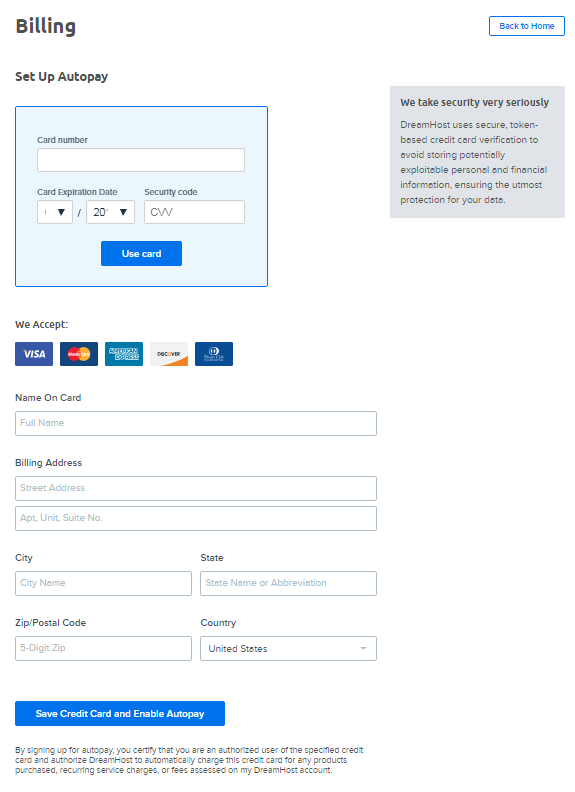 This article describes how to add a credit or debit card to your DreamHost account to pay for various services through Autopay or a single payment. You can either set up Autopay or make a single payment using a credit or debit card. The advantage of setting up Autopay is that DreamHost will automatically charge your card whenever a payment is due, which saves you time and hassle in paying for recurring charges every month. Navigate to the Make Payment page. Scroll down to the 'Set Up Autopay' section and click the blue Set Up Autopay Now button. Click the blue Add Card button. 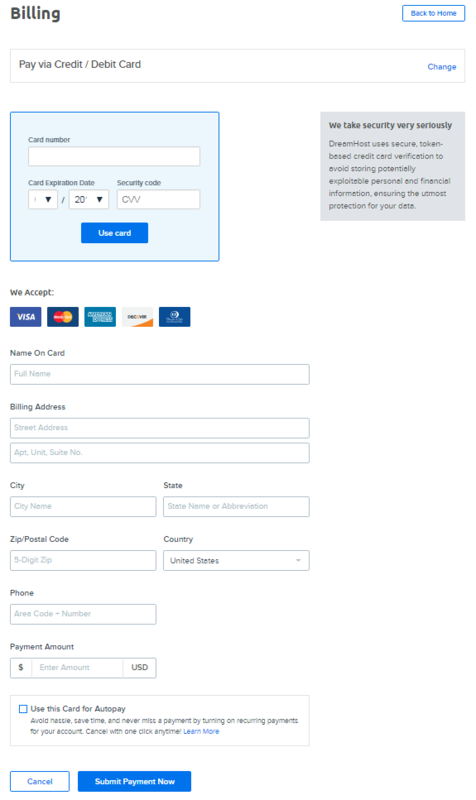 Enter your card number, expiration date, and security code, and then click the blue Use card button. After you enter the card number, enter the name on the card and billing address (city, state, zip/postal code, and country). When finished, click the blue Save Credit Card and Enable Autopay button to complete the charge. Scroll down and click the 'Add Money to Your Account' section. Click the 'Credit / Debit Card' section. When the 'Pay via Credit / Debit Card' page opens, click the blue Add card button at the top. Name on the card and billing address (city, state, zip/postal code, and country). Phone number and payment amount. Uncheck the 'Use this Card for AutoPay' checkbox for single payments. This checkbox is selected by default, but you can uncheck it if you do not want to enable Autopay. 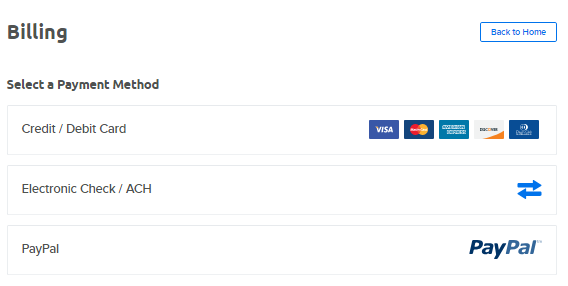 When finished, click the blue Submit Payment Now button to complete the charge. Article last updated April 10, 2019 18:55 PST. Why did I receive an expiring credit card notice?